As its name suggests, the Buick Riviera was one classy automobile! Built at a time when fins and chrome were pretty much ubiquitous, the Riviera oozed cool sophistication. Automotive haute couture, chéri! Spotlessly clean, styling-wise, the car was especially powerful in profile. Its lines described elegance, in the same way as, say, a Jaguar or a Bentley. The Riviera might almost be said to have been the Rolls-Royce of American cars! Interior décor, too, was 'European' - with its neatly rounded dials, and floor-mounted gear-shift. Electric windows, and power steering came as standard - naturally! But, excellence did not stop at the styling. In highest-spec 7.0-litre guise, the Riviera's V8 engine produced 365bhp. Top speed was 130mph ... good going for a five-seater saloon car. And that with a two-speed automatic gearbox! Having said that, the Riviera was not perfect. Its live rear axle meant handling was just average. And the drum brakes were prone to high speed fade! The Riviera, then, was a sweet blend of American and European. The best of both worlds, as it were. For all of its 'pomp and circumstance', there was more than a hint of muscle-bound machismo. 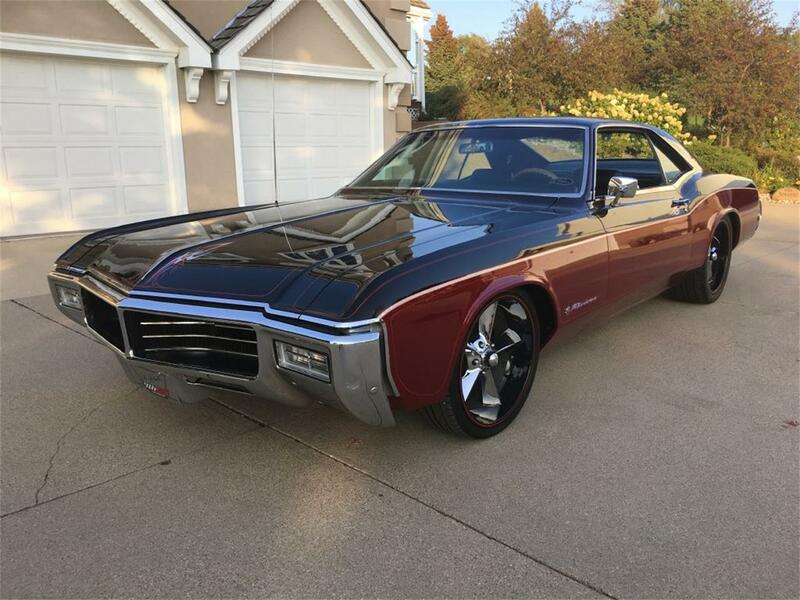 So, the Buick Riviera straddled both sides of the 'pond'. And was all the better for it!